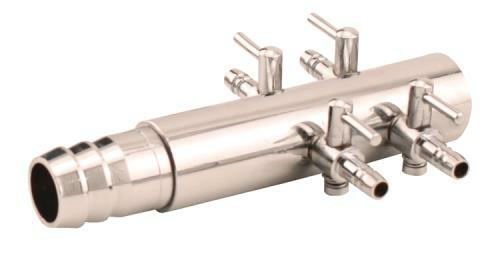 Inlet Barb Fits 1/2″ I.D. 5/8″ O.D. Outlet Barb Fits 3/16″ I.D. 1/4″ O.D. 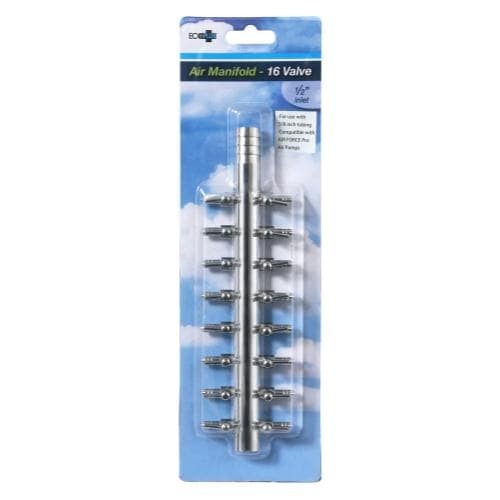 Compatible with Air Force Pro® 40, 60 & 80. 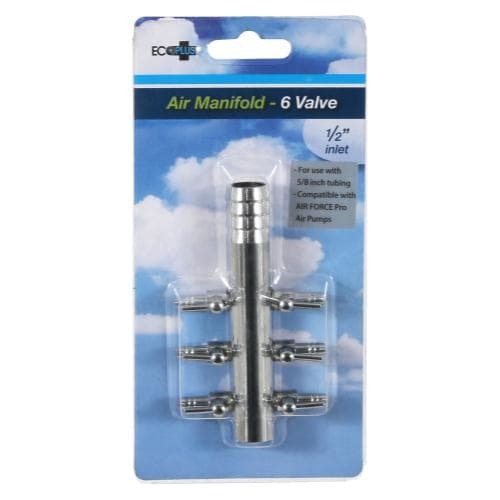 Air Manifolds allow the adjustment of air flow to four or more air stones or air diffusers in order to insure that equal air flow is provided to each air diffuser or air stone. 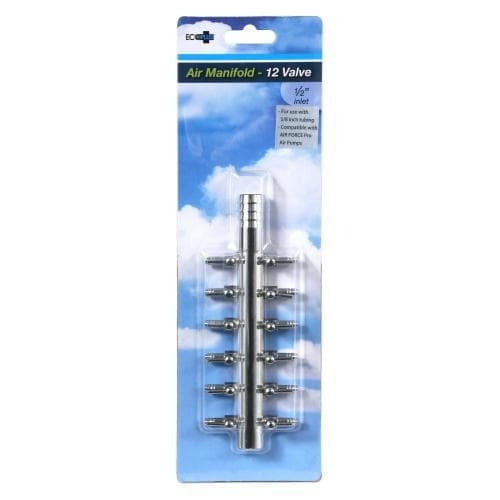 The manifold has individual barbed valves which control the outlet of air to your air stones or diffusers. 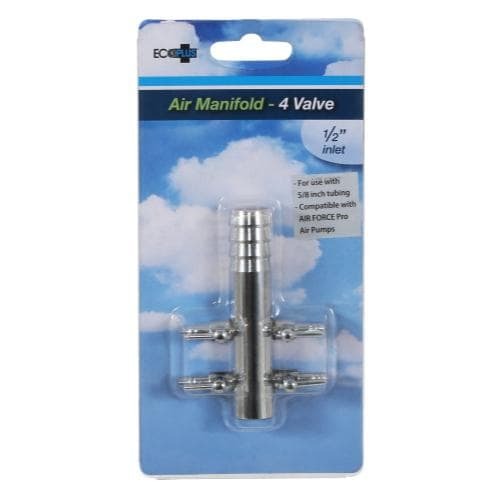 They also allow excess air pressure from the pump to escape to decrease pressure on the diaphragm of your pump.